The effect that South Africa will have on each individual can only be described as magical. 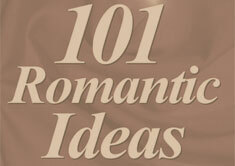 From a romantic standpoint it is an extraordinary destination. In fact, there is no better way to begin your life together then making your first voyage one that will remain in your heart forever. Johannesburg and Cape Town are the two most sought after places to travel once on the African continent. Even better news, for those who aren’t interested in a string of shots ranging from Yellow Fever to Typhoid or for those travelers who just don’t feel like taking a Malaria pill, South Africa will be your perfect African destination. All you need in order to visit is your passport and a sense of adventure. where the best place in the city and arguable in the country is The Saxon Hotel. It’s the little touches that make The Saxon a real gem beginning with the General Manager who will personally make sure you enjoy your stay. 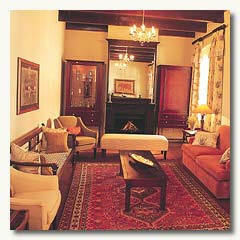 The Saxon sits on six acres and is located in the exclusive Sandhurst suburb of Jo’burg (as locals refer to the city). 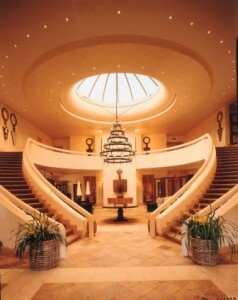 You will immediately recognize that the understated class and design is one of African elegance with a feeling of home. In fact, this was Nelson Mandela’s home for a time after he was released from prison. He wrote his autobiography “Long Walk to Freedom” within these walls so while visiting Johannesburg this is the best way you will find to become a part of the city’s history. While there is certainly much to see and do in the city, enjoy The Saxon’s piano lounge, swimming pool, steam room and beauty salon as well. Do keep in mind that Jo’burg is a city of contrasts and while many tourists feel the city is just too dangerous to venture out in, don’t let this deter you. Sure, the mansions in the lush green suburbs are protected behind walls and the shanty towns are intimidating, but with the right driver the experience of Jo’burg can also be mystical. Johannesburg is not the sort of city where tourist sites are around every corner, in fact a few days here should suffice before you move toward Cape Town. However, the history and energy of this dynamic city will leave your mind and senses open for more. Don’t miss Gold Reef City, a major landmark and a good starting point for the tourist wanting to know what the city was like at the turn of the last century. Museums and theatres are also a part of this city with the South African National Museum of Military History near the Johannesburg Zoo, the James Hall Museum of Transport in La Rochelle, South Africa National Railway & Steam Museum, Bernard Price Institute Paleontology Museum and the Barnberg Fashion Museum. For a real African adventure this a good northern starting point with choices of mountain biking, fly-fishing, hiking, bird watching, game viewing, micro light flying, river rafting and canoeing. There are also game walks, game drives, bird parks, animal farms and nature trails. Speaking of nature trails, Joubert Park is the city’s oldest part and was granted by the Volksraad in 1887. When you visit don’t miss the Wolmarans, King George and Twist Streets in the area. After a few days it will be time to move south to Cape Town and perhaps a game reserve such as Sanbona Wildlife Reserve, which is only a few hours from the city. take some time to visit the area including the shanty towns, which offer a real look at South African life. 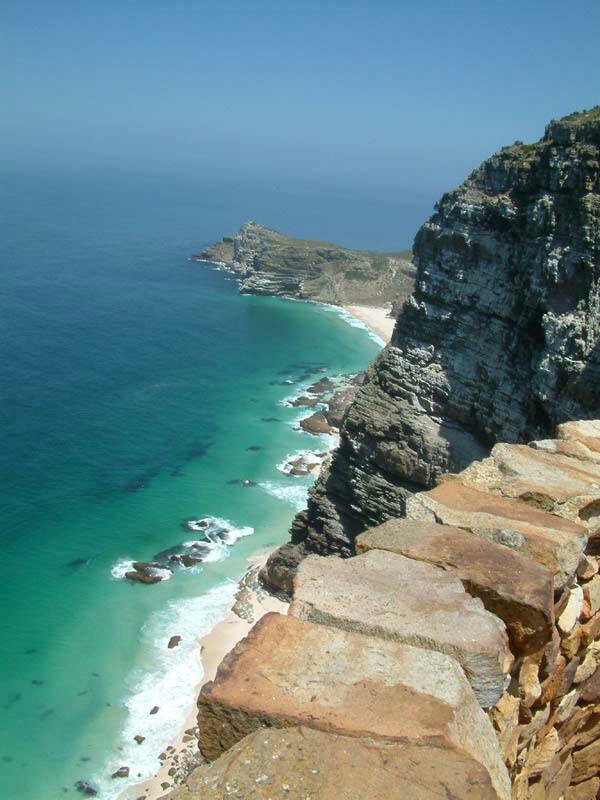 Then venture out to the Cape of Good Hope, which is a must see with diverse habitats ranging from rocky mountain tops to beaches and open sea. The Cape of Good Hope is situated at the junction of the earth’s two main water bodies – the meeting of the Atlantic Ocean and the Indian Ocean. If you really want a sense of adventure try shark diving. It’s all the rage in Cape Town nowadays as tourists go down into the ocean in a cage to watch the great white sharks swim around them while trying to figure out a way to turn the divers into a next meal. After that hair-raising experience a good choice to get back to romance for the week or the weekend is at the Steenburg Hotel. 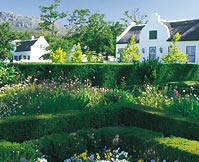 It’s a five-star property located on the Cape’s oldest wine farm. While you will feel like you are “in the country” you will only be 20 minutes from the heart and action of the city. For golf lovers this hotel also offers an 18-hole golf course. and while I stayed there I specifically ask to be allowed to spend the night in the haunted room. The first owner of this property was a feisty German woman named Catharina and it is said she visits the place on a regular basis, I was convinced, but you be the judge. While you are there do find the time to have dinner at Catharina’s namesake restaurant too. A few short hours away is Sanbona Wildlife Reserve in an area called Little Karoo. Many game reserves are all about just seeing the wildlife, but here you can also experience flora, fauna and cave drawings that are thousands of years old. The reserve is nestled in the hills at the foot of the Warmwaterberg, which is an expansive group of rock formations, also including scrub vegetation. The name Sanbona is a combination of the “San” people who lived in the area hundreds of years ago and “bona” representing their vision. In all, there are 6500 plant species and 150 bird species among the wildlife that includes cheetahs, lions, elephants and rhinos, to name a few. In fact, recently Sanbona Wildlife Reserve re-introduced white tigers to the area. This is the first time such an event has happened in many years and three cubs have been born since the reintroduction. animal kingdom. Tucked away in a secluded valley overlooking a natural watering hole, Khanni Lodge is an idyllic Klein Karoo summer house, with wrap-around verandas, high lime-washed ceilings and exposed beams providing a feeling of cool, airy space. From the verandah and rim-flow swimming pool guests can watch animals visiting the watering hole to drink. Sanbona also offers a wellness center where you can relax and unwind with a massage or a number of other body treatment choices. At night when you arrive from your evening game drive you will find your bath drawn, a bottle of champagne at the ready and rose petals dotting the floor. It’s certain that while in Sanbona the romance and the spirit of the earth will remind you that your future is the place that dreams or made of day by day. Visiting these three widely different, but remarkable South African destinations and properties will allow you to get an idea of exactly what this country offers and by the time you leave you will undoubtedly already be planning your next trip for a celebratory anniversary.